Established over twenty years ago, Cameleon specialize in providing a broad range of Installations, Maintenance Repair and Design Services to owners of Commercial and Industrial properties. Cameleon based in Nottingham is central and operates a Nationwide service offering customers the benefit of our experience with experienced mobile service engineers and fitted out service vans. With NICEIC accreditation in itself is a guarantee of our service quality and installation works we can also undertake to test and report for the purpose of Yearly electrical inspections. 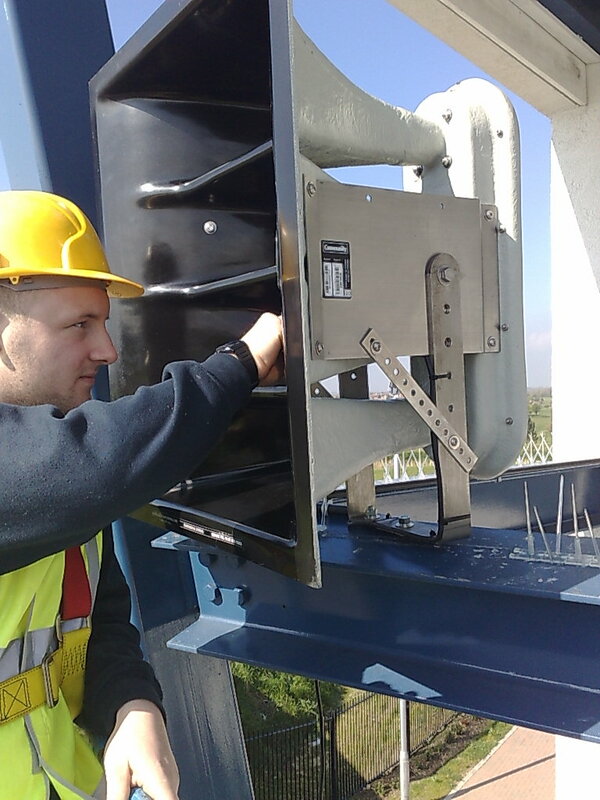 We undertake independent commissioning and testing of Public Address Systems also we carry out annual periodic test and reports as well as providing a callout service. Recent contracts in the Nottingham area include installation of new concept NXT speaker tiles in the Nottingham University Library for there Public Address System. The rewire of large snooker complex including all sound and lighting system, installations in supermarkets and warehouse and factories have also been carried out and with our skill and experience ultimately translate to cost savings to our clients. Projects Commercial premises do make up a major part of our business activities undertaking Electrical Installations/Sound Systems (foreground & background) .